No reason your workbench can't be functional AND look great at the same time! The Drymate® Workbench Mat featuring cool diamond plate and Realtree Xtra® Camo designs protects both your tools and your workbench from scratches. 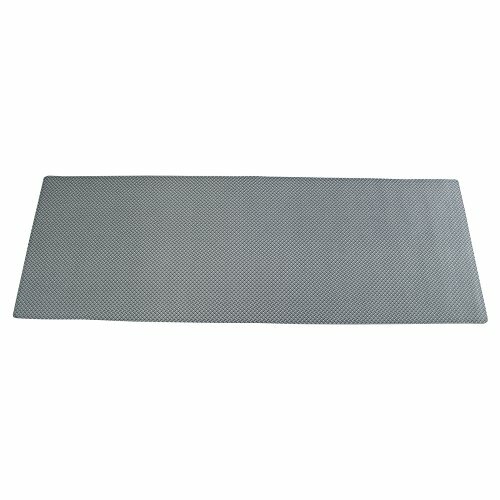 This soft, ultra thin mat provides just the right amount of cushion to muffle sounds while still providing a firm surface to work on. Made with Drymate®'s super absorbent material, the Workbench Mat contains spills before they reach your tools or drip onto the floor. This mat is stain-resistant and washable too, making cleanup between projects quick and easy. Oh and did we mention the super cool designs? Standard sizes: 20" x 58"